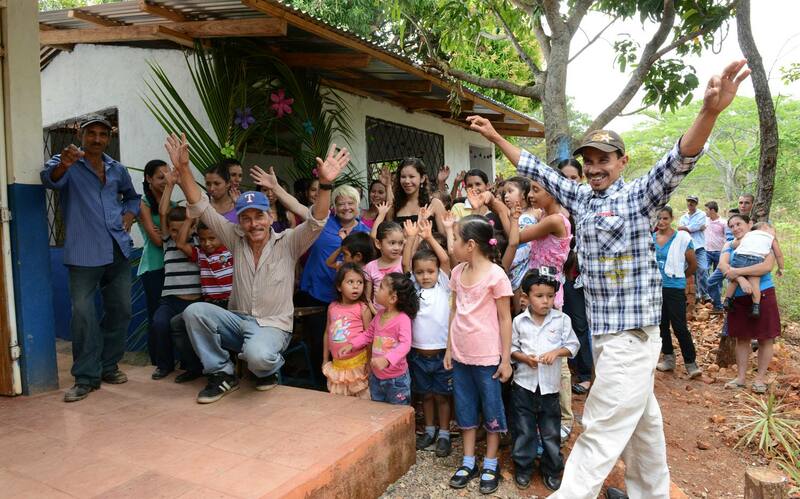 The 2 Wheels Project started with a bicycle repair store owner named Alejandro (Alex) Solano, who wanted to repair used bicycles and give them to children from poor families in his community of El Sauce, Nicaragua. While volunteering with the 4 Walls Project we were introduced to Alex and wanted to be part of this worthy cause. As keen cyclists, we recognised the opportunities that bicycles provide as a means of transport. What we also saw was how a single bicycle in Nicaragua rarely only has one passenger, how families use them to sell their home-made goods in the streets, how they need them to transport large loads and, critically, how they can provide children with more opportunities for the future by helping them attend school. Nicaragua is the second poorest country in Latin America, with high levels of poverty particularly affecting rural communities. Education can provide a pathway to break the poverty cycle, however there are many barriers in place that lead to high rates of school drop-out, often prior to completing primary school (age 12). The struggle for basic necessities means that the only option many children have for getting to school is to walk long distances in temperatures that regularly soar above 100°F (38°C). The 2 Wheels Project wants to make it easier for children from poor families to continue their education and increase their opportunities in life by providing refurbished bicycles to get to school. Each donated bicycle not only helps the child but also helps their whole family with daily life. Silpa with her mother and sister before heading off to school on her new 2 Wheels bike. The project is working in collaboration with schools, community leaders and ‘Ciudad Hermana Rochester-El Sauce’ scholarship program to identify children who are most in need of a bicycle. The project focuses on children from poor families in El Sauce and its surrounding rural communities that cannot afford a bicycle and have difficulty getting to school due to distance. In particular, we are targeting children living in rural areas who enjoy learning but are at high risk of not attending or dropping out of school because of this difficulty. The child’s family is visited and a used bicycle is found and repaired locally. This not only means that a child receives a bicycle, but also that the local community is supported. The project prioritises using as many high-quality second-hand bicycle parts as possible to encourage recycling rather than landfill. The school of each of the students also receives a maintenance kit to help keep the bicycles running smoothly while any major repairs are performed by Alex at his store and are also covered by the project. Please help us raise funds to give a child a bicycle for a better future! Designate donations through Journeys of Solutions to the “2 Wheels Project”. The cost of a robust, refurbished bicycle is around $50, but every single dollar adds another spoke to our wheels! This is a volunteer-run, not-for-profit project which means that all of your contributions go toward providing bicycles and helping the El Sauce community. Our only administrative fees are the small bank transfer fees required to get the money to where it is needed. All donations are tax deductible for U.S. citizens. Please note: More information, including details of students that you can sponsor directly, is available at our website.